Winning and losing are part of every game. Have you ever heard a person winning continuously in game? Well, the possibilities of such a thing are very remote. While playing rummy game, it’s even more profound as the game is more of a game of skill which requires application of our minds more than anything else. So encountering failures while playing online rummy is not uncommon. 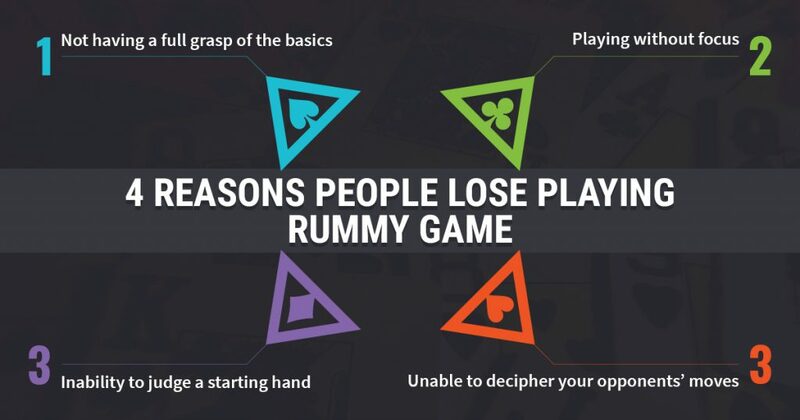 We have collated 4 important reasons so as to explain why people playing rummy game lose. In order to be successful while playing rummy game, it’s important you have a thorough understanding of the basics. Without a strong foothold of the basics, it’s very difficult to be successful in a game. 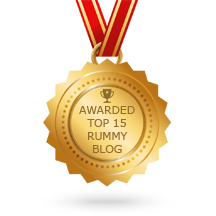 People who aren’t clear about how to play rummy are often the ones who lose. The objective of the game is to meld atleast 2 sequences out of which one must be a pure sequece. Astute rummy players often try to build a pure sequence first and then play around melding other sequences with or without the assistance of jokers. Any deviation from the basics would definitely result in huge losses. Get your priorities right (building a pure sequence in this case) in order to avoid heavy defeats. You are going to stare at defeat in any game that you play without full focus and concentration. Rummy being a game of skill that requires you to remember the fall of cards, the risk of losing is even higher. Always play rummy in your leisure time where you have sufficient time to think. Playing in a hurry burry will definitely cause your downfall. Also, do remember not to play rummy when you are physically unfit or at times where you are extremely jaded. 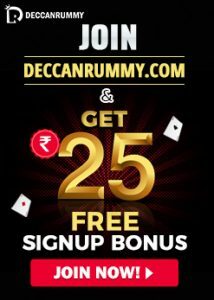 We have extensively covered time and again on why starting hands play a crucial hand while playing rummy online. When you are dealt with a bad hand where the chance of melding pure sequence is extremely tough, it makes little sense to continue. 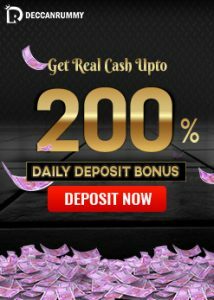 Go for a initial drop in such cases so that you do not lose with heavy points. Seasoned rummy players are good at reading the cues from their starting hands and they decide whether its wise to continue or not based on that. It’s the beginners who under the pretext of being ambitious tend to go astray. One of the biggest factors that decides whether a player can be successful or not is their ability to read their opponents’ moves. Every time an opponent discards a card and picks up a card from the open deck, you must be clever enough to gauge what they are trying to meld. For example, if the player picks up 7 and 9 of clubs in their successive moves, it’s a giveaway that he is probably having 8 of clubs and they are aiming for a pure sequence. People who pick up the cues would avoid putting down 6 or 10 of clubs to ensure they don’t give them the opportunity to create a perfect 4 card sequence.